For the price, eReleases offers the best distribution service hands down. While a number of the company’s competitors focus their distribution efforts on ensuring that press releases gain web exposure, eReleases works to get your release noticed by experienced journalists. The press release distributor offers service through The Associated Press and its own association of journalists and websites. If you establish a contract through eReleases, the company will also distribute your press release to Google News and Yahoo! News as well as through other well-known websites. For an additional fee, the company will even write the press release for you. 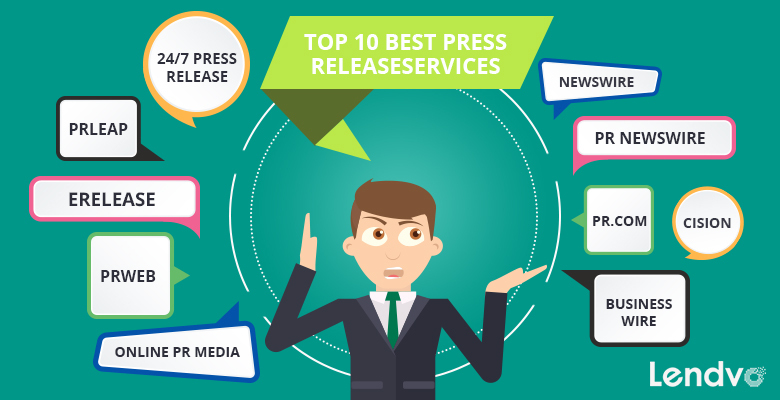 If your main reason for creating a press release is to get news coverage, then eReleases appears to have the best track record in this regard. The company captures the attention of reporters, and this often leads to mentions of your press release and by extension, your company in their news articles and stories. The eReleases website is filled with client testimonials that confirm the company’s success in the realm of media coverage. In addition, clients who purchase Newsmaker service through eReleases receive the benefit of getting their press release included in the company’s website distribution service as well as with its wire distribution. If you go this route, eReleases will also distribute your press releases through PR Newswire’s network to give you even more exposure. Established journalists often turn to this source for the latest stories. Industry insiders speculate that the company’s distribution list likely includes a large number of online journalists and bloggers. Since eReleases distributes press releases to newsrooms and experienced journalists, the services provided by the company are comprehensive, and they’ll work to get you noticed. We included PRWeb as one of the top press release service providers because the company outshines the competition in the category of online distribution. If you decide to hire PRWeb to distribute your press releases, then your announcements will be seen on dozens of websites. When marketing professionals, social media experts and business owners need a press release service provider, they often select PRWeb. Those in the know recommend the company for people who are more interested in receiving the best possible exposure as opposed to the cheapest package price. The organization’s network includes more than 30,000 media contacts. PRWeb will make sure that your press release reaches national news websites as well as local ones. This includes sites operated by The New York Times, USA Today and The Wall Street Journal. The company will also distribute your bulletins through major search engines like Google, Bing and Yahoo!. By using PRWeb, you’ll have the option of including links, video and attachments with your press release. The company will also add terminology to the piece designed to gain the attention of search engines. PRWeb will even add sharing links to your press release. This makes it easy for readers to share your announcements with others. PRWeb also hires editors to review your text to ensure that it receives as much attention as possible. Along with providing traditional press release services, PR Newswire has a small business package called iReach available. Because of this, we consider the company a top contender in the field. When it comes to generating search engine referral traffic, PR Newswire outperforms a number of other distributors. It’s one of the oldest and largest companies to deliver this service. In fact, PR Newswire has at least 200,000 distribution points. PR Newswire’s pricing structure is a bit complex. Services range from $545 for local distribution to more than $2,000 for national coverage. The distributor also charges an annual service fee, so make sure that your company’s business plan includes releasing content throughout the year before signing up for one of PR Newswire’s programs. According to the pros, the distributor is one of the most expensive press release service providers in the industry. However, the company has won more than 20 awards for delivering professional customer service. It also knows how to connect you with traditional and new media outlets. PR Newswire’s iReach package will help you grow your business and promote it. If you’re already established, then you will still benefit from iReach because you can use it to distribute your company’s latest news. This drives more visitors to your website and blog. The service’s strength is in its ability to earn you advertising space. Because the company allows for at least one followed link, press releases distributed through iReach also work toward search engine optimization or SEO. This increase your company’s visibility. If you choose PR Newswire as your press release distributor, you’ll not only be selecting a company that uses a large arsenal of tools to boost every announcement, but you’ll also be working with an organization that’s proven itself to be successful at helping its clients. We selected 24/7 Press Release for our list because the company’s service is affordable and effective. The company’s database includes 30,000 members. In addition, 24/7 Press Release has distributed around 2 million bulletins for its clients. The company’s goal is to give you exposure and visibility without bankrupting you. With 24/7’s help, you’ll have a way to distribute the latest information about your company to trade publications, bloggers, web journalists and online portals. 24/7 Press Release even distributes especially newsworthy releases to traditional newspapers. For the company to issue your content, it must be newsworthy and authentic, so be sure to create interesting and informative press releases. 24/7 Press Release circulates announcements for business organizations and corporations. The company provides service for clients in Canada, the U.S. and the U.K. According to the distributor’s site, its customers are generally satisfied with 24/7 Press Release’s service, and they recommend it to others. One company confirmed that its website experienced a spike in its internet presence across several different search engines. It also saw more web traffic in general. If you’re considering 24/7 Press Release’s service, sign up for the company’s paid distribution program instead of the free trial. The free trial only offers access to the company’s website, and it doesn’t distribute announcements to its external affiliates, so the results will likely be minimal. With the company’s paid service, you’ll have access to 24/7 Press Release’s next-day turnaround feature as well as statistics, reports and data. This information will help you determine whether the marketing technique is successful. Four different programs are available, and they range in price from $49 to $389 a month, so you’ll able to choose one that suits your needs and budget. BusinessWire made the grade due to its progressive approach to distributing press releases. The distributor is large, and its clientele mainly consists of business-to-business companies and startups. BusinessWire is affiliated with PR Web, and this allows it to offer comprehensive service. Pricing ranges from $700 to $1,000, and the company allows you to distribute your press release on PR Web’s network and BusinessWire’s US 1 network. Both networks offer a high level of geographic control over distribution markets and multimedia integration. According to reports, BusinessWire is able to get the average press release picked up by an estimated 200 to 300 different media sites. The distributor is one of the highest priced service providers, so keep the extra cost in mind as you evaluate the company’s benefits. We also recommend BusinessWire because the company offers results tracking. In addition, the distributor counts more than 92,000 subscribing journalists in its network along with 89,000 media outlets. This combination practically ensures that a professional reporter will view your press release. BusinessWire also works to syndicate the press releases of its clients into top outlets. The press release distributor staffs a strong editorial team, and they’ll assess each piece that you submit to ensure that every one is of the highest quality. High quality press releases often gain the attention of major search engines. BusinessWire’s website posts content in five different languages, so when it’s important to reach an international audience with your press release, you’ll appreciate this feature. If your budget is tight, there are other press release distribution services that are more affordable, but for large corporations, BusinessWire is definitely a solid choice. Online PR Media is one of the best press release distributors. It earns this distinction by offering value with both its free and paid service. If you take advantage of the distributor’s free plan, you can send one press release to the company for every day of your free trial. You can also insert one link in the company’s Media Contact section. Online PR Media will make sure that your press release’s title is optimized for SEO. Online PR Media keeps the press releases that it distributes free live on its website for 90 days. This feature gives you an idea as to how press releases can increase your company’s online visibility. With the company’s paid service, your release will not have an expiration date. The distributor’s paid service ranges from $22 a month for a basic social media release to $389 for maximum visibility. The company also has a plan that focuses on increasing your press release’s search engine visibility. This program costs $79 a month. Naturally, Online PR Media focuses more of its managing efforts on the press releases that it distributes through its paid service than it does on the ones issued by its free program, but when it comes to visibility, SEO benefits and general exposure, both services are effective. Online PR Media’s 60-day satisfaction guarantee is another reason why we placed the company on our top press release service list. If you’re not happy with the results after receiving the company’s report, Online PR Media will issue you a full refund. While Online PR Media’s free service lets you use one link, the distributor’s paid service allows you to add as many as three anchor links along with social sharing buttons. This is ideal if you’re looking for ways to benefit from organic marketing. Affordability and efficiency are two words that describe the press release distribution service offered by PRLeap. The company’s standard plan will run you $99 while its monthly program is $129. If you need extended service, be sure to look into the annual plan, which is $699. More than 30,000 customers use PRLeap, so it is a major service provider. Through the company, you can schedule your press releases to be distributed the next day. You can also stagger them to come out a week or even a year later. This means that your announcements will receive a constant viewer stream. PRLeap made our list because the company allows you to include as many as five videos and images with your press release. This is an especially valuable feature since it’s sure to attract more attention to your press release. With PRLeap’s service, you have the option to include anchor text, add information to your release through bulleted lists and highlight key words. These enhancements help you gain the notice of Google and other major search engines. They also make it easy for readers to scan the contents of your press release. This may result in their reaching out to your site or company for more information. While we appreciate that PRLeap staffs a chat box to answer questions immediately, we think that the company could enhance its service by offering a FAQ section, but don’t let this detail sway you away from the company’s service. In many cases, PRLeap obtains better media exposure for its customers than other companies do because it offers quality. We like the service that PR.com offers since it allows customers to distribute press releases and display job postings. When PR.com issues your press releases, the company will work to increase your online visibility by way of top search engines, social media, blogger networks and thousands of websites. For instance, PR.com will submit your press release to Bing News, Google News and Topix.net. The company will also increase your company’s business presence through print, radio, broadcast media and mobile channels. PR.com has a free plan available, and with the company’s gold plan, you’ll have access to limited releases for $199 a year. PR.com also offers a platinum plan. The cost of this program is $499 a year. Through the distributor’s service, you can establish your own company profile to gain more exposure with the internet’s popular search engines. A profile will also help you get more attention from PR.com’s business directory, which includes affiliates in most industries. The company staffs live customer service agents. In addition, PR.com is easy to use, and once you register for your account, you can upload a prepared press release in just a few minutes. PR.com is a self-serve platform, so before signing up for a plan, make sure that you’re comfortable with the creative and technical side of press releases since the distributor offers little support in these areas. However, if you spring for the company’s $100 package, your press release will receive an editorial review from a professional. When it comes to paid press distribution sites, Newswire is one of the best. The company got its start in 2004, and today, Newswire is renowned for offering unsurpassed customer service and overall value. According to the company’s founders, they began the business because they believed that individuals and small businesses need access to press release services as much as major corporations do. In addition to its paid service, the company has a free plan available, which is called Free Online Press. If you sign up for the free program, you can submit one press release each week. The distributor will host your release. It will also advertise your bulletin on the Newswire News Center site, which is shared with the public. In most cases, the company posts press releases within 48 hours of your submission. With Newswire’s premium program, the company will release your announcement on more than 50 authoritative and financial sites. It will reach Google News as well as DigitalJournal. A major benefit of signing up with Newswire’s premium package is that you can include media attachments, videos, documents, logos and images without paying an additional fee. You can also add up to three links in the body of your bulletin. Through Newswire, you can get your press release submitted to more than 7,000 media and news outlets. This increases your bulletin’s search and online exposure. The company has a number of plans available, and if you pay for a one or two year program, you’ll receive an additional discount. You can also use Newswire’s writing services if you need professional help crafting your press release. The company has an experienced team of writers who are experts in different industries. Because the press release distribution company is constantly working to develop new features and upgrade their service, you’ll have access to the industry’s latest advancements. We’ve included Cision on our list of best press release distributors because the company offers a wide range of services. Cision puts your press release in the hands of important people who work in broadcast, social media and print. The company’s management tool lets you issue press releases to major wire service providers around the world. This includes traditional media sources like magazines, newspapers and broadcast desks as well as trade and business journals. Cision will even submit your press release to news bureaus. Cision promotes press releases on its news feed as well as through companies like CNN, Time and The New York Times. The company will add share buttons to your announcements. Those who support your business will be able to use this feature to spread information about your company. Cision also provides campaign results. This will ensure that you know how well a particular press release is promoting your company. Use this information to optimize follow-up campaigns. Cision has a comprehensive database, and it merged its analytics and social tools into a single platform. The company focuses its distribution efforts within the U.S., but it does have an international presence, so it can help you get global notice. In a recent G2Crowd report, the company received a high service rating. Cision doesn’t post its subscription prices, but you can send a message to the company requesting details regarding its pricing structure. Choose Cision when you want a press release distribution company that offers a service that is both top-of-the-line and inclusive. When it comes to press releases, keep in mind that while it’s good to acquire the notice of everyday customers, the goal is to capture the attention of those in the media who may reference your company, product or service in an article or news report. This is why it’s so important to choose the right distribution service. Some companies are better at acquiring the kind of media attention that will get you noticed than others are.